Assembled Dimensions: 61.71D x 29.5W x 52.5H | Weight: 235.00 lbs. Dual Jet Stream No Pipe™ Jet - twenty four (24) months from shipment from Continuum Footspas facility. Other Components/Parts - Twelve (12) months from shipment from Continuum Footspas facility. Accessories - Twelve (12) months from shipment from Continuum Footspas facility. Shipping Costs - Twelve (12) months from the date of shipment Continuum Footspas will cover normal shipping costs associated with replacement parts. Expedited shipping costs will incur an additional charge. Warranty if at the sole discretion of Continuum Footspas, it is determined a failure was caused by negligence, accident or improper use, improper installation or lack of proper maintenance as outlined in the Owner’s Manual. 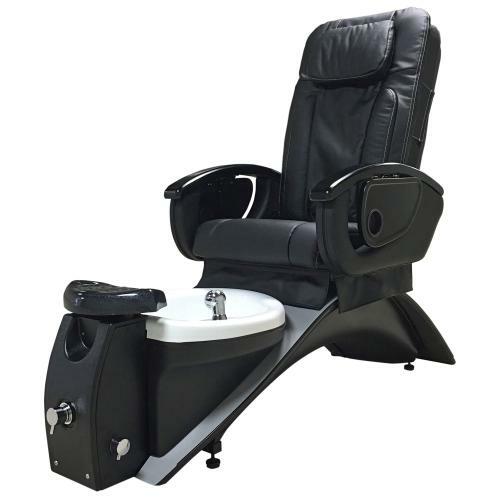 The exchange of a Echo Pedicure Chair is limited to supplying a replacement Echo Pedicure Chair of equal style. Owner is responsible for all labor and shipping costs necessary to replace a Echo Pedicure Chair. Chair is subjected to improper installation or maintenance, negligence, improper cleaning or any other circumstances beyond Continuum Footspas control. In order for your Limited Warranty to be valid, your Echo Pedicure Chair must be installed by a licensed professional in accordance with Continuum Footspas installation instructions. 3) Staining, fading or discolorization of the seat, seat back, armrests or leg supports. to comply with all national, state and local plumbing, electrical and building codes. 6) Damage to drain pump due to obstruction in drain hose. Continuum Footspas shall not be liable for any other obligations or liabilities as a result of breach of contract of warranty, negligence or strict liability with regards to the Echo Pedicure Chair. This Limited Warranty applies only to Echo Pedicure Chairs installed in any one of the fifty states of the United States, the District of Columbia or provinces of Canada. Two (2) vents are located within inches of the pedicure footrest area. When connected to an external HVAC system (not included), toxins and odors are vented outside of the building. Provide a safe and relaxing environment by improving the air quality in your salon.